This unit has a polypropylene handle, borosilicate glass beaker, and a stainless and poly plunging/filtering system. It has a domed lid to seal in the aroma and maintain temperature. 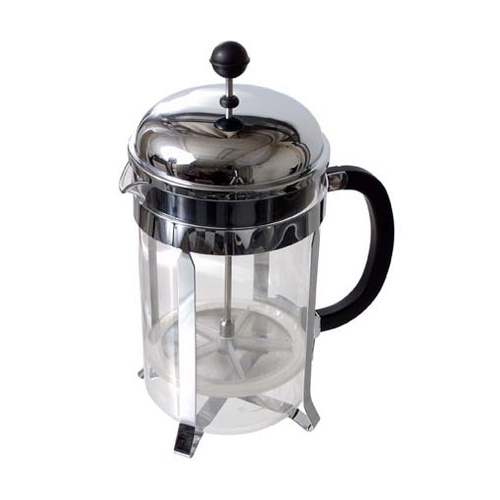 12-cup french presses are ideal for serving 3-5 people. As with all of our french presses, it is completely dishwasher safe. Great product. I have the smaller version and like the design of the top better, way easier to clean then this one, you need pliers to remove the plastic retainer.